New cinematic language and foray into reinventing the new digital cinema aside, let’s look at what everyone online is chirping about: the endings. 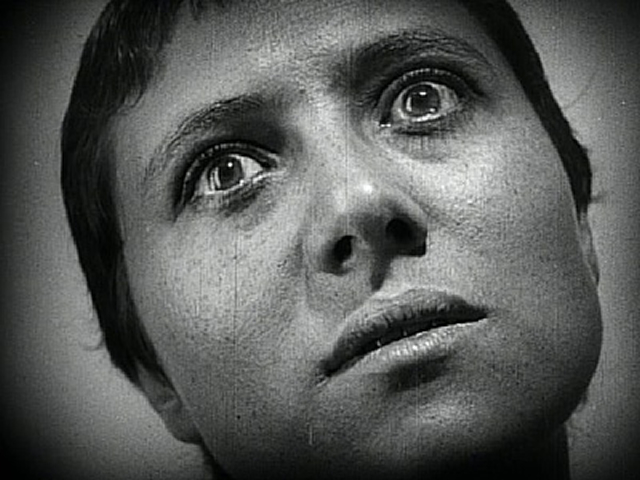 There are a multitude of film endings, each concluding with the critic giving a review of the game. This should be fairly intuitive, yet a number of people are claiming endings when there is no review of the game. This doesn’t make sense. Firstly, the game within the film is a metaphor of the film itself. The character in Bandersnatch (the game) is an iteration of Stefan (the film) who is an iteration of us. “Bandersnatch” is a metonym, and there are a limitless number of microcosmic worlds within the worlds, including the world wherein we watching Black Mirror: Bandersnatch on Netflix are being controlled and only have the illusion of free will. That said, the critic is not only speaking of Bandersnatch the game but of Bandersnatch the film we are watching. When Stefan chooses to create the game in the office, the film ends abruptly with the critic giving the game 0 stars. He says “try again”; he is talking to us. This is the shortest duration in which the film can take; it is the weakest of the final endings; it is the most incomplete. From there, the film can take you on many divergent paths, some of which cross each other as result of making an alternate decision only to eventually steer yourself back to your original path. Many “endings” are mounted as result; Stefan jumps off of the balcony, Stefan takes his medication, Stefan breaks his computer, Stefan finds out about Netflix, Stefan returns to childhood and goes with his mom (the melancholic), Stefan burying his father’s body, and Stefan chopping up his father’s body. In all but the last of those, the viewer is making a decision for Stefan which ends his path and prevents him from completing the game. In other words, in all but the last of those, the viewer has made a decision which prevented the film from reaching completion. Reaching any of those “conclusions” end up with the critic either calling the film a ‘morbid curiosity’ or ‘unfinished’. He is, all the same, telling us about the film: at these “conclusions”, Black Mirror is either a ‘morbid curiosity’ or ‘unfinished’. But upon chopping up his father’s body, Stefan has taken the longest path. You may perhaps go backwards and try something different in order to follow some alternate pathway, for example “follow Colin” rather than “see the Psychiatrist”, but these divergences are simply interruptions which eventually lead to Stefan killing his father. This said, Stefan killing his father is the definite climax of Black Mirror, but the viewer has a choice for whether the film ends abruptly or if it ends with an epilogue: bury or chop the body? After burying the body, Stefan is soon arrested and taken to prison. He does not complete the game, and the critic gives the game a less than 5 star rating for being unfinished and thrown together by Tuckersoft. However, after chopping up the body, Stefan has enough time to complete the game. There is catharsis. The music swells. This is the final, final ending. This is the only ending which is followed by the critic giving Bandersnatch a 5 star rating, saying “Yes, Yes, and Yes, it’s got all the bases covered”. By now, you should understand that the critic saying it has all the bases covered is akin to saying that the film has now covered all the bases, and that the film, like the game, is complete. It is the only way in which the game can be completed, and so it is the only way in which the film can be completed. Further supporting this claim is that the credits cross cut (it doesn’t do this with any of the other endings) over a news story in the future. They talk about the game because it was completed, just as the film has completed. They indicate the possibility of a sequel at this point, one starring Colin’s sister. This entry was posted in Miscellaneous and tagged Bandersnatch, Bandersnatch Ending, Black Mirror, Black Mirror: Bandersnatch, Charlie Brooker, Choose Your Own Adventure, David Slade, digital cinema, fionn whitehead, Netflix, Science Fiction, Tuckersoft, TV, will poulter. Bookmark the permalink.